It's difficult today to imagine how America survived the Great Depression. Only through the stories of the common people who struggled during that era can we really understand how the nation endured. 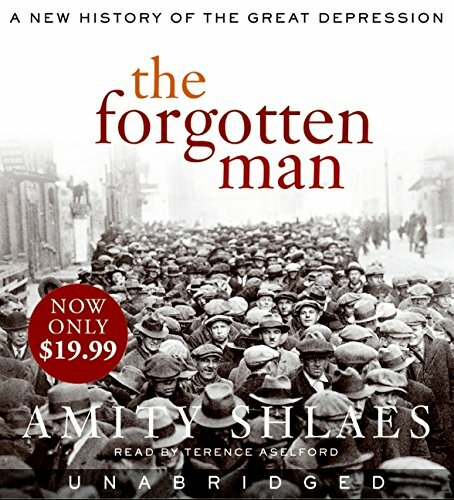 In The Forgotten Man, Amity Shlaes offers a striking reinterpretation of the Great Depression. Rejecting the old emphasis on the New Deal, she turns to the neglected and moving stories of individual Americans, and shows how they helped establish the steadfast character we developed as a nation. Shlaes also traces the mounting agony of the New Dealers themselves as they discovered their errors. She shows how both Presidents Hoover and Roosevelt failed to understand the prosperity of the 1920s and heaped massive burdens on the country that more than offset the benefit of New Deal programs. The real question about the Depression, she argues, is not whether Roosevelt ended it with World War II. It is why the Depression lasted so long. From 1929 to 1940, federal intervention helped to make the Depression great—in part by forgetting the men and women who sought to help one another. The Forgotten Man, offers a new look at one of the most important periods in our history, allowing us to understand the strength of American character today.